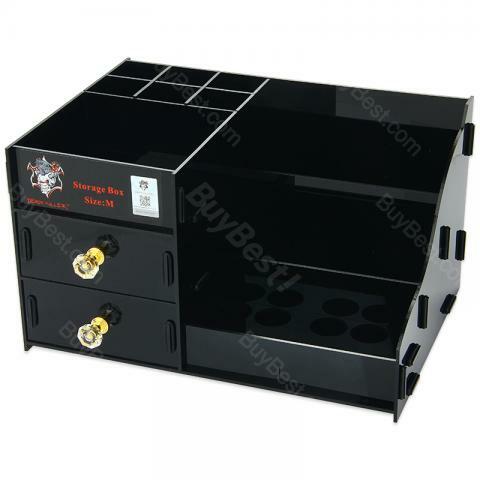 Demon Killer Acrylic Storage Box is a useful shelf to place your e-cigs in order. The storage box is made of acrylic and available in black and clear. With this storage case, you can sort things straight and clearly. Demon Killer Acrylic Storage Box is a useful shelf to place your e-cigs in order. The storage box is made of acrylic and available in black and clear. Size M.
Demon Killer Acrylic Storage Box Size M with a Width of 52mm. With 1pc Accessory Pack 1pc User Manual.